When it is easy to understand who is the owner of tangible assets such as a house or a car, it is maybe less obvious when it concerns intangible assets such as music, literary and artistic works; discoveries and inventions; words, phrases, names, symbols, and designs. Intellectual property (IP) is a legal concept created for ensuring certain exclusive rights to a person (physical or moral) over such intangible assets. Various intellectual property rights have been developed for the protection of specific intangible assets. In particular, they include patents, trademarks, copyright, industrial design rights, domain names, etc. A patent is a national right granting an inventor the right to prevent any third party from making, using, selling, offering for sale, the invention as claimed in the patent in a given country or selection of countries for a limited period of time (generally for a maximum period of 20 years). A patent is granted for inventions which are novel and involve an inventive step, in exchange for the public disclosure of the invention. The claims define the scope of the protection conferred by a patent, and can define an entity, such as a product, an apparatus, an assembly, a kit of parts, or an activity, such as a process, a method, a use. A copyright gives exclusive rights to its creator over an original work, usually for a limited time. 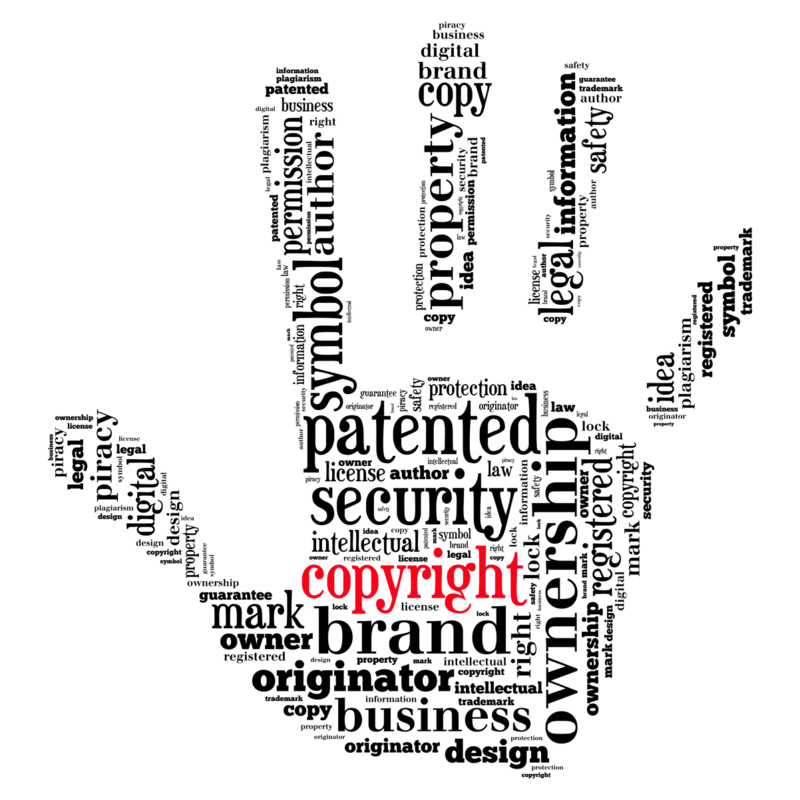 Copyright may apply to a wide range of creative, intellectual, or artistic forms, or "works" such as music, literary works, artistic creations (painting, photography, sculpture, etc. ), and the like. Unlike most intellectual property rights, a copyright is inherent to a work and needs no filing with any authority to initiate a copyright. Copyright covers the form or manner in which an idea or opinion is expressed. A sign © can be used to indicate the wish of a creator to protect its work. A trademark is a recognizable sign, design, colour, or expression which identifies without describing products or services of a particular source from those of others. Trademark is a national right, but regional rights are also available (e.g., European Trademark, International Trademark). A registered Trademark is recognizable with the sign ®. An industrial design right protects the visual design of objects that are not purely utilitarian. An industrial design consists of the creation of a shape, configuration or composition of pattern or colour, or combination of pattern and colour in three dimensional form containing aesthetic value. An industrial design can be a two- or three-dimensional pattern used to produce a product, industrial commodity or handicraft. A domain name such as "example.com" is an identification string that defines a realm of administrative autonomy, authority, or control on the Internet. Domain names are formed by the rules and procedures of the Domain Name System (DNS). Any name registered in the DNS is a domain name.